Here are the results for Bunny 3 and the overall results (top counters, those who did all 3 races). Registration at the Old Sun Hotel, Haworth, W. Yorks (GR 026372), 10 mins. from start. Individual Bunny Runs are CS (Category C Short) fell races. 4.8km with 100m of climb. Entry £2 on the day only. Over 12. 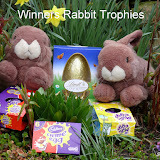 All prizes Easter eggs. All 3 races to count for overall awards. Bunny Run Relays are also CS. 7.30pm start. £6 per team of three. Each leg 1.5m/200'. Relay batons are eggs! Almost any conceivable team composition welcome including mixed, family, junior etc. Over 10. Yes folks, it's Bunny time, so hop to it starting on Tuesday evening 1st April at 7pm, with a chocolate prize list even a chocoholic would have problems coping with! These races are eggciting, bunnylicious, cracking and are only 3 miles long with the reward for everyone being a Cadbury's Creme Egg! Remember for the Hares amongst you the 'Egg Stage', a fast and furious dash round the small loop which will bring extra chocolate for the first man and lady past the hopping bunny sign. 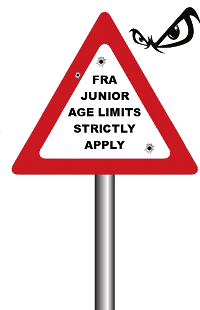 Then of course for those of you who want to have more fun, if that's possible, there is the chance to win chocolate in the fancy dress competition incorporated in the race. All runners can also take part in the guessing the winners time free competition - the prize is? AN EASTER EGG! See the clipboard at registration to enter. The Bunnies are renowned for post race fun - free soup and roll in the Old Sun Hotel, Haworth to watch that night's race video on the big screen, stacks and stacks of Easter Eggs in an extensive prize list, flashing bunny ears and watch in awe as the first man, lady and MV40 stagger under the sheer weight of goodies, then the finale the famous chocolate throw out! 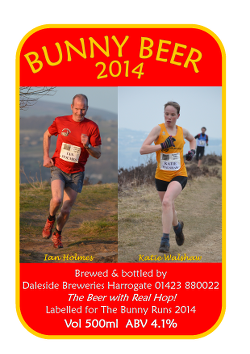 And at the end of the series there will be the traditional Bunny Beer for the winners!